Born and raised in Jerusalem, Yonatan Zimmerman, Co-Founder of ZORE, is no stranger to gun usage. 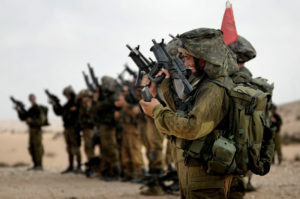 Like all Israelis, was drafted into the Israeli Defense Forces when he was eighteen. He served in a special forces unit, where he spent his days and nights in the West Bank and Gaza. 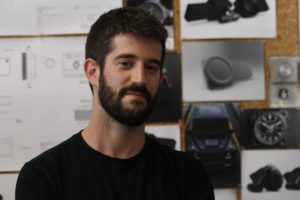 Zimmerman set out to work on a solution for gun safety and gun misuse, and in collaboration with Yalon Fishbein, Zimmerman’s partner, ZORE was born as a way to find safe and effective solutions to this international issue. Most smart guns embed technology inside the gun, drastically changing the product, and making guns less reliable. ZORE is revolutionizing the industry by adding 21st century technological advantages, without changing the mechanics of the gun itself. 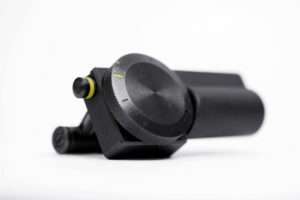 Their main product, ZORE X, an external device, is a patented cartridge that locks to the majority of semi-auto guns. Once the gun is unlocked, ZORE X will be ejected upon charge, offering the quickest way for guns to be loaded. 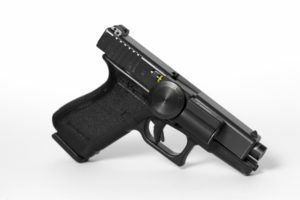 ZORE X connects to owners’ smartphones, and alerts gun-owners by phone notification if any attempt has been made to move or unlock their firearm. 1. How does Israel inspire you? 2. What is ZORE’s ultimate mission? 3. What’s one thing no one knows about ZORE? 4. What do you love about living in Israel? What do you love about the startup culture in Israel? If you’re interested to learn more about their products, fill out their customer questionnaire.